Police are appealing for information following news that a woman was found in the water by Bognor Regis pier in the early hours this morning (February 24). The 22-year-old was pulled from the water by lifeboat and coastguard teams at 2.25am and taken to St Richard's Hospital, Chichester, where she is in a critical condition. A man who went into the water to try and assist her was also taken to hospital to be checked over. He has been released. Detective Inspector Andy Westwood said: "Our investigation is at an early stage and we are trying to establish what has happened. 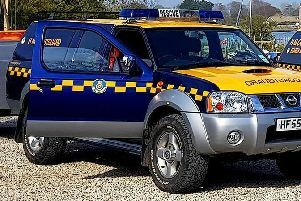 "We want to hear from anyone who may have seen the woman going into the water near Bognor Pier. We know that she had been in Sheiks nightclub on the pier before she was found. Please contact us if you have any information which could help us." A 30-year-old man has been arrested on suspicion of assault in relation to an earlier incident on the pier and is currently in custody.